When you head out hiking, typically you wear your gear in layers. For example, you will have an outer layer which usually consists of your rain gear. This is the outer layer as it faces the outside. This layer typically involves protection from the outside in. So it protects you from the elements such as rain, snow, etc. As well as keeping you dry, it is also typically has a level of breathability, so any humidity inside, can get out to keep your mid layer, the next one, dry. Finally then, as we move another layer down, right next to your skin, we come to the base layer. An example base layer, the Smartwool Mens NTS Mid 250 Crew Base Layer, is shown in the image below. What is the Purpose of a Base Layer? The base layer has two main functions. The first function, is to wick moisture away from your body. In brief, as you hike along, your body will typically heat up from your exertion. Your body will react to cool you down by sweating. This sweat then has to be able to get away from your skin, otherwise it will cool you down too much as you will have cold damp on your skin. That’s where the wicking capability of a base layer comes in. The function here is to provide an easy vehicle for the moisture, your sweat, to move away from your skin. Wicking fabric, typically merino wool or synthetic fibers like Polyester, in base layers are excellent at helping this process along. The second main function of a base layer is to also provide warmth by not only keeping your skin dry from damp, but also to help keep your body heat in. So, in summary, base layers encourage humidity, sweat, to move out and away from your skin, while also keeping warmth in. Now, you may not always want to keep heat in when using a base layer. For example, maybe you would like to keep your body a bit cooler as opposed to trapping heat in. This is where the differences between merino and synthetic base layers come into their own. From my experience, Merino wool is very warm and snug and so not only wicks moisture away from your skin to keep you dry, but also provides a very nice layer of warmth. I also have synthetic polypropylene base layers. These are also excellent at wicking moisture away from my skin but they aren’t as efficient at keeping warmth in, in my experience. I find these can be better for use while hiking in Autumn, while the Merino ones are best for hiking in Winter, when I want that bit of extra warmth. That’s my experience with them anyway. What Forms a Base Layer? Normally, base layers are used to cover your torso and your legs. They also usually fit nice and snug to your skin to help the two main functions we touched on above. Personally, I never use a base layer for my legs, even when I was skiing in the Alps in Winter, I tried them one morning but they were far too warm for me. However, that is my personal preference only. Some people, who may feel the cold that bit more than me, may love to have the additional warmth of base layer leggings. So, if you were wondering what a base layer is, I hope you found this short post giving a brief overview on it useful. If you are purchasing base layers, take your time to find out what you need them for and match up suitable ones to your needs. I think both merino and synthetic base layers are excellent, I use both, so there is plenty of choice available to you. Merino wool base layers are usually pricier than their synthetic counterparts, but they are excellent in terms of warmth and functionality. One final thing to think about is odor control. 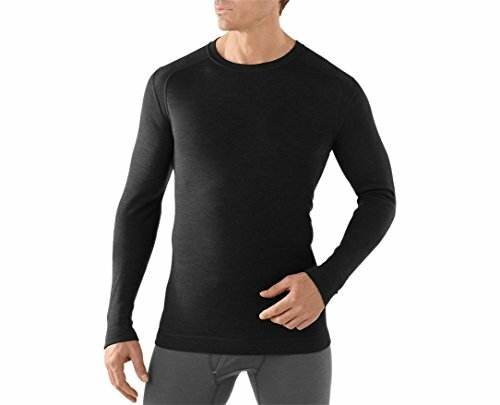 Typically, people find merino base layers easier to keep clean and fresh, synthetic base layers have a reputation for storing and holding odor from sweat, etc. Personally, I haven’t found this to be a big issue with my synthetic base layers but some folks do mention it as a problem so I wanted to flag it here. You will often see base layers that will have some form of odor resistance listed as a function of the material. So, that’s it for today. Please leave a comment below if you’ve any questions on this. I’m happy to try answer them if I can.